OMG! I was SOOOOOOOOO excited for more! 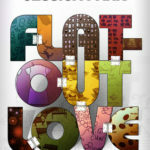 I loved Flat Out Love, it is one of the most quirky, unique stories I have read to date, and still stands out in my mind after a year and a half. 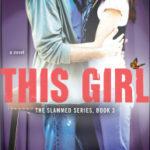 (See my review) So when I heard there is a companion novel, Flat Out Matt, I couldn’t wait! Flat Out Matt by Jessica Park does NOT stand alone. You must read Flat Out Love first. 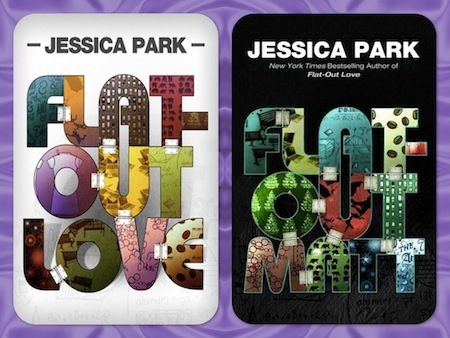 I read Flat Out Love back in August 2011, and when I started Flat Out Matt, I realized it was time for a re-read. I have to tell you, I loved Flat Out Love just as much the second time around! Flat Out Love is YA. Flat Out Matt…not so much. Flat Out Matt adds 2 prequel chapters to the story that I loved–we get to know Finn…before. Then 7 chapters are re-told from Matt’s POV. They skip, so this is not a story you can sit and read as its own story, as much as something you want to read right after Flat Out Love. But it includes some of my favorite scenes: the Christmas Tree, The Polar Plunge, Skydiving, and more, this time from Matt’s POV. Then it ends with a nice steamy scene from Julie’s POV. 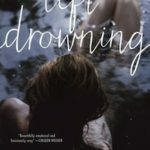 This is a really hard review to write, because the book does not stand alone, and almost every quote I pulled will offer a spoiler to Flat Out Love if you haven’t read it. Celeste is an even bigger part of this book, and we really appreciate how hard it has been for Matt to take care of his highly dysfunctional family. The chapters in Flat Out Matt skip, but each chapter begins with the fun and quirky facebook status updates from Matt, Finn and Julie, even from Celeste. Celeste Watkins: has no contractual obligation to use contractions. So maybe she will use them, and maybe she will not…So maybe she’ll use them, and maybe she won’t. Can I tell you, I just LOVE Matty? Is it wrong to love this guy? Girls will look at nerds differently after reading this book. Lets put it this way, after reading the last chapter…. Matt seems to have studied girls as much as everything else! It was a pretty hot scene! The emotions are all here in Flat Out Matt, maybe even more so. Seeing the struggles of this family from Matt’s point of view was heart wrenching and endearing. You can’t help but fall in love with them even more after reading this book. And seeing the scenes with Matt and Finn together at the beginning make this story even more bittersweet. Flat out Matt was just as smart, quirky unique and endearing as it’s predecessor. If you haven’t read Flat Out Love, you must. It is completely different than the books I usually recommend, but I think you’ll love it just the same. And if you have read Flat out Love, you MUST read Flat Out Matt! It made my 5++++ stars for Flat Out Love turn to 5+++++++++++++ stars! Rating: (Disclaimer: can not really be rated alone) **Note: Flat Out Love is only 1/2 star for Heat. 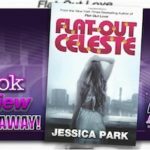 Jessica Park has generously offered to donate 1 e-book of both Flat Out Love and Flat Out Matt. I will give both to one winner, but if you already have Flat Out Love, let me know, and I will choose another winner for that book. 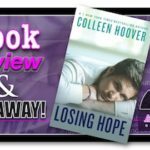 I would love to win/read these books! I haven’t read either of the books yet. They are on my wish list. I always love your recommendations. These books are very different. 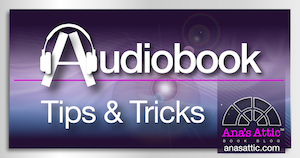 Cannot wait to read these books…they sound amazing! Can’t wait to read these two!!! I’ve heard a lot about these two books and I can’t wait to read them! Can’t wait to read Flat Out Matt! I am crossing my fingers and toes. Thanks for the giveaway! Adding both to my TBR. Thanks for the chance to win!!!!!! Would love to win a copy of either these books. Have heard so many great things about them. Thanks for the giveaway. These are on my TBR!! Can’t wait to read Flat Out Matt. I rwad the first one and loved it. These books sound so good! Thanks for the chance! I so want to read these. They’re on my TBR list just waiting for more in the book budget, so thanks for the giveaway. Awesome giveaway can’t wait to read this!!! Would love to win. The books sound awesome! Would love to win these, have had Flat Out Love recommended it to me multiple times. I loved Flat Out Love! I had no idea there would be a companion book. This is great news! I’ve heard about ‘Flat Out Love’ many times and have been wondering about it! Thanks for the giveaway! Hope I get to read it! Alot of great things are being said about both of these books. I have them on my TBRs & would love to win this giveaway! Looking forward to reading these. I’ve loved all of the reviews I’ve seen. Thanks for the opportunity to win a copy! I read Flat-out Love awhile ago and loved it. I am very excited about Matt’s pov. Thanks for the chance to win! I have been seeing a lot of hype for these on Facebook, would love to read!! My spouse and i have been now escaittc Edward could complete his researching through your precious recommendations he got from your very own weblog. It’s not at all simplistic to simply be giving freely secrets the others might have been trying to sell. And we all know we have the blog owner to thank for that. All of the explanations you made, the simple web site menu, the relationships you can give support to promote it’s mostly astounding, and it’s really letting our son in addition to our family consider that that theme is enjoyable, and that’s very vital. Thank you for the whole lot! Can’t wait to read Flat Out Matt! Thanks for the giveaway! In my queue to read! can’t wait!! I already own Flat Out Love so if I win there will be 2 winners 🙂 I am finishing the Fifty Shades trilogy and my monthly book club selection and then I’m starting it. Thanks for the giveaway! I didn’t realize there was a second book until now. Would love to get my hands on these freebies!! Thanks for the chance! These books look so good, thanks for the opportunity! 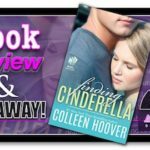 These books sound amazing and would love the opportunity to win them!! Everyone is raving about this book! Can’t wait to read it! I’ve heard amazing things about this book- it’s on my TBR list! Everyone loves these, can’t wait to read them. Thanks for the giveaway! excited for this! Thanks for the giveaway! I haven’t read either book yet, but I do have Flat out Love on my kindle. Can’t wait to read both, they sound great. 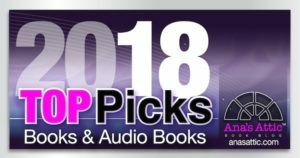 Thank you, I love reading your thoughts on all these great reads! I’ve not read either book! Would love to win these books! Haven’t read them yet! Thanks for sharing your review! I really loved Flat Out Love and can’t wait to read Flat Out Matt! Totally dig the cover! 😉 Thanks for a chance to win an ecopy! I haven’t read these yet but they now have my attention! Dying to read these books! This “free sharing” of inofimatron seems too good to be true. Like communism.